It's advertising! It's a game feature! It's both! Microsoft has announced that they are teaming up with action sports footware and apparel brand etnies, noted for being far too hip for capital letters, to bring their Goofy vs. Regular skateboarding competition to Skate 2. If I were a vp of marketing at etnies I would be so stoked right now. "I was stoked when EA committed to putting our etnies Goofy vs. Regular event in their new game! GvR is one the best skate contests of the year and has created some of the most hype and friction over the past 5 years," said Don Brown, senior vice president of marketing for Sole Technology and goofy footed skateboarder. "The original Skate was incredibly popular, so we're really proud to be a part of Skate 2." See? He's completely stoked about all of the hype and friction that is bound to ensue. Skate culture is so rad.EA Brings etnies' Fifth Annual Goofy versus Regular Skateboarding Competition to Skate 2 One of the World's Most Celebrated Skateboarding Events Makes Its Videogame Debut REDWOOD CITY, Calif.—(BUSINESS WIRE)—Compete for stance supremacy! Black Box, a studio of Electronic Arts Inc. (Nasdaq:ERTS), announced today that it will be partnering with leading global action sports footwear and apparel brand, etnies, to bring their epic Goofy vs. Regular (GvR) skateboarding contest to the videogame world. Gamers will lead a team of goofy foot or regular foot pros as they pit the best skateboarders against each other in the ultimate team competition. "The Skate franchise has always been committed to showcasing the spirit and soul of skateboard culture," said Executive Producer, Scott Blackwood. "The etnies GvR competition celebrates the fun, creativity and talent in skateboarding today. Featuring the event as one of the main competitions in Skate 2 felt like a natural integration and a perfect fit." Skate 2 picks up five years after the original Skate, a period marred by an unspeakable disaster that left San Vanelona in ruins. Within that time, Mongocorp rebuilt the city but their zealous protection of private property has put a damper on the once thriving skate population. Equipped with double the bag of tricks, gamers are tasked to rebuild their career and revive the New San Vanelona skate scene. With their ability to get off-board to move objects around and with help from a crew of locals, players will embark on a mission to take back the city, one spot at a time. Along the way, they'll need to get coverage, earn sponsorships, own challenges and enter contests, including a coveted invite to etnies GvR competition. "I was stoked when EA committed to putting our etnies Goofy vs. Regular event in their new game! GvR is one the best skate contests of the year and has created some of the most hype and friction over the past 5 years," said Don Brown, senior vice president of marketing for Sole Technology and goofy footed skateboarder. "The original Skate was incredibly popular, so we're really proud to be a part of Skate 2." etnies will also be partnering with Skate 2 on an exclusive shoe that will hit an etnies preferred retailer in the United States when the game ships in 2009. Developed by Black Box in Vancouver, British Columbia, Skate 2 ups the ante in delivering an authentic skateboarding experience with all-new tricks that allow gamers to truly skate it their way – on and off the board. Skate 2 will be released for the PLAYSTATION®3 system and the Xbox 360® video game and entertainment system in early 2009. The game has not yet been rated by the ESRB. Players who cannot wait until 2009 can pick up Skate It for the Wii™ this Fall. 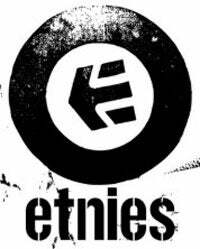 About etnies Established in 1986, etnies is the first skateboarder-owned and operated global action sports footwear and apparel company. etnies not only pushed the envelope by creating the first pro model skate shoe, but it pioneered technological advances and changed the face of skateboard footwear forever. Today etnies' vision is to remain the leading action sports company committed to creating functional products that provide the most style, comfort, durability and protection possible. etnies stays true to its roots by sponsoring a world class team of skateboarding, surfing, snowboarding, moto-x and BMX athletes and continues its dedication by giving back to each of these communities. For additional information, visit www.etnies.com.